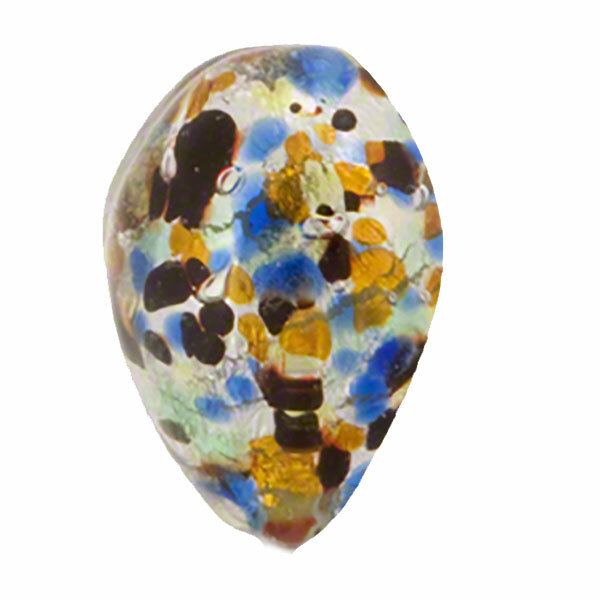 This authentic Murano Glass bead is a baroque heart made with a center of clear Moretti glass and rolled in frit, tiny pieces of broken glass given it a gem studded appearance over .925 Sterling Silver Foil. 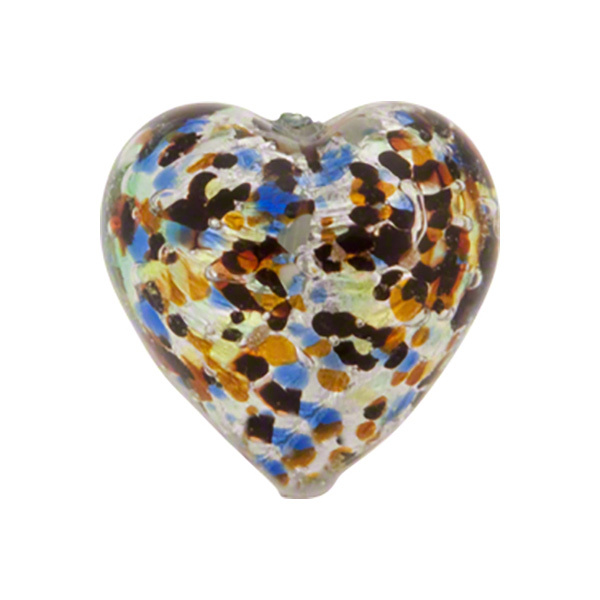 The Murano Glass heart make a great pendant with the muted colors Murano Glass. The size is approximately 20mm tall with a 1mm hole which runs vertically through the heart.